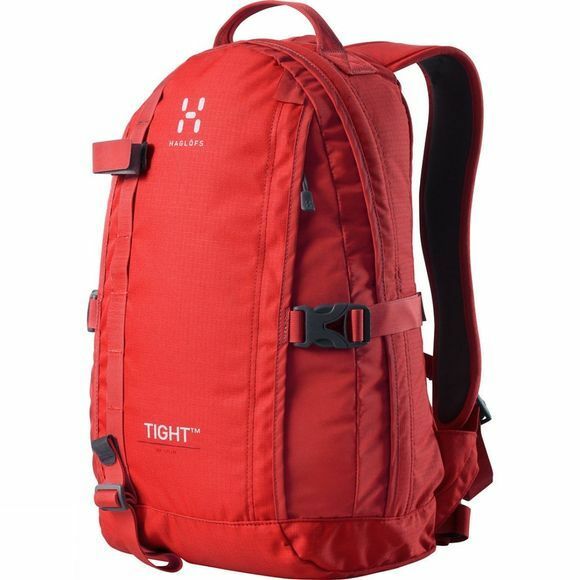 The Tight is a simple, stable, neatly thought out daypack from Haglöfs for hill or city use. The bulk of the load is held low inside the Tight thanks to its teardrop shape, which lowers the centre of gravity for excellent stability. Along with contoured shoulder straps, this holds it tight against the back for ease of movement during a range of activities. A convenient size for days on the hill, the Tight Medium is also ideal for day to day use: strip off the waistbelt and ice axe attachments and you have a clean, uncluttered pack for commuting.